I took the cue from the reindeer about the theme. 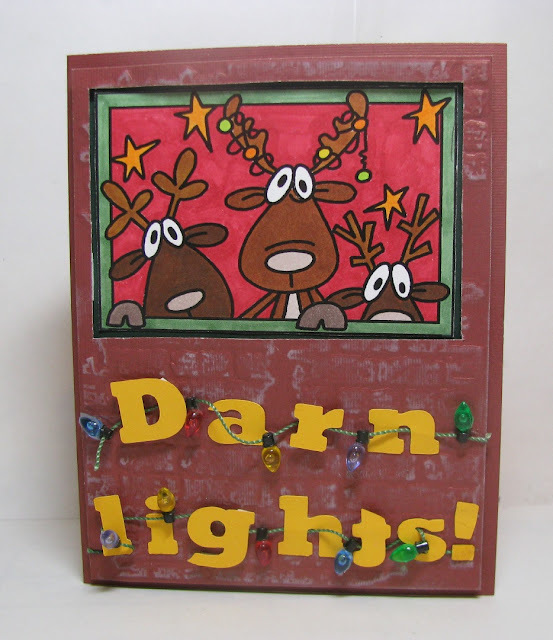 The image is from Bugaboo Stamps (Reindeer Trio) colored with Copics. The embossing folder is from Tim Holtz (Vintage Brick) highlighted with white chalk ink. The great thing about my Cricut is that I can choose a font and cut out the letters I need. I wove Jolee's Christmas lights through the sentiment (some letters were pop dotted up), then computer generated the inside sentiment. 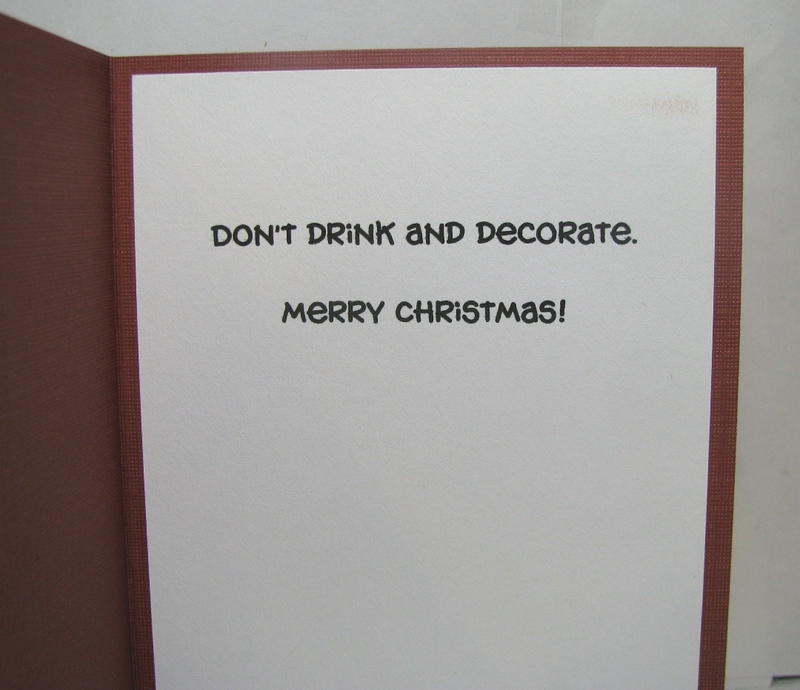 I did cut a window for the reindeer to look through and pop dotted the brick wall to the card. What a wonderful Christmas giggle of a card! I especially love the cord you threaded through those letters.... Thank you for joining us over at the Sisterhood of Snarky Stampers!! Love the deer and their darn lights! Thanks for joining the sisterhood of snarky stampers for X is for Xmas! Very cute. Love the sentiment on the inside. Thanks for joining us at Sisterhood of Snarky Stampers. I prefer to do one of these and not the other. I need to start decorating for the holidays again. Cute sentiment! Thank you for joining the Sisterhood of the Snarky Stampers for our X is for X-mas challenge. I just love this card! So clever wrapping those tiny lights around the die cut letters! Thanks for joining us at the Sisterhood of Snarky Stampers!